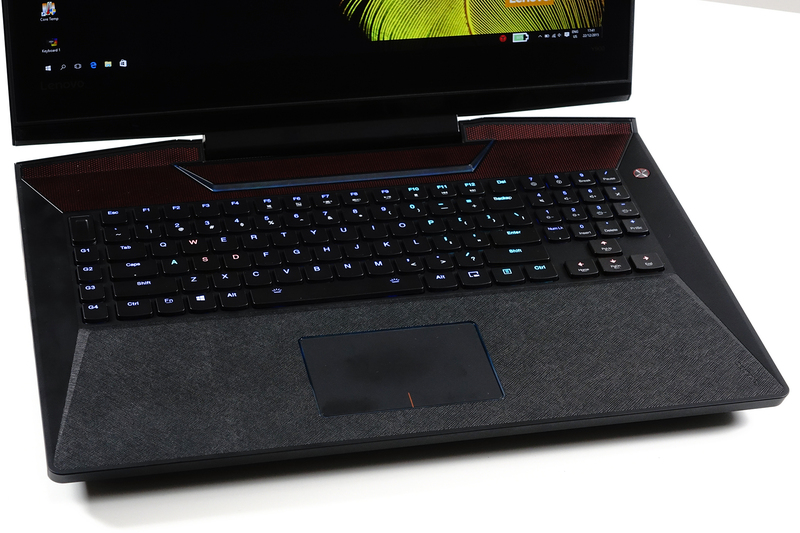 Yep, this came out of the blue but if you connect the dots, it was the logical thing to do especially since Acer has also taken a deep dive into the high-end gaming laptop market with the Predator series. 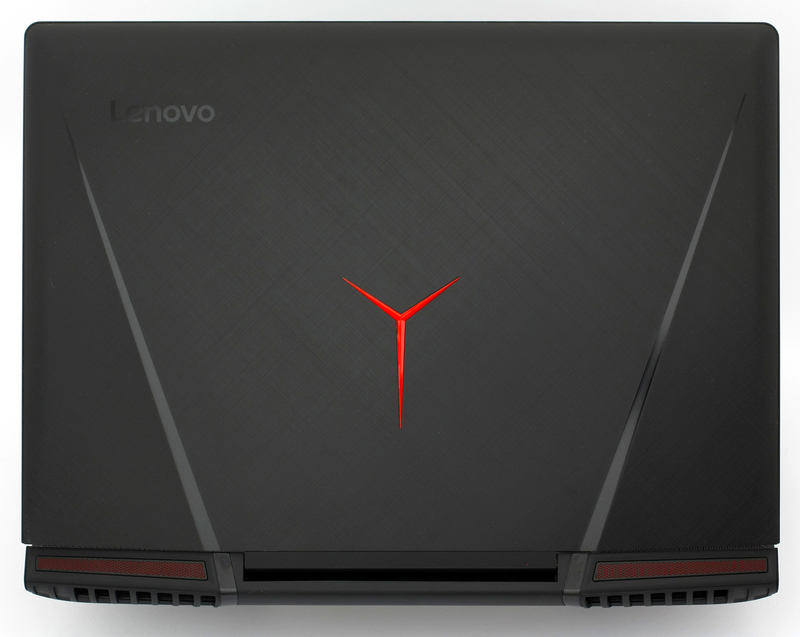 However, we are here to talk about Lenovo’s latest gaming beast – the Lenovo Y900. The name somehow suggests that it’s a modified version of the well-known Y700 but, on the other hand, the renamed Y series now make more sense. Anyway, the Y900 is a whole another story. It’s going to be placed in the same price range as the Alienware 17, Acer Predator 17 and the ASUS ROG G752 but all these notebooks already set the bar too high and will Lenovo be able to keep up? We will find out in our full review of the machine but judging by the initial specs – definitely! It sports the latest Core i7-6700HQ CPU, GeForce GTX 980M GPU, 64GB of DDR4-2133 RAM and a 17.3-inch Full HD IPS panel. We hope Lenovo will release a configuration with G-Sync since the testing unit we got doesn’t support natively G-Sync on the integrated display but instead uses the DisplayPort for an external G-Sync-enabled monitor. The same as Acer Predator. This is a bit of a letdown but don’t judge too quickly as this sleek machine has some other tricks up its sleeve. 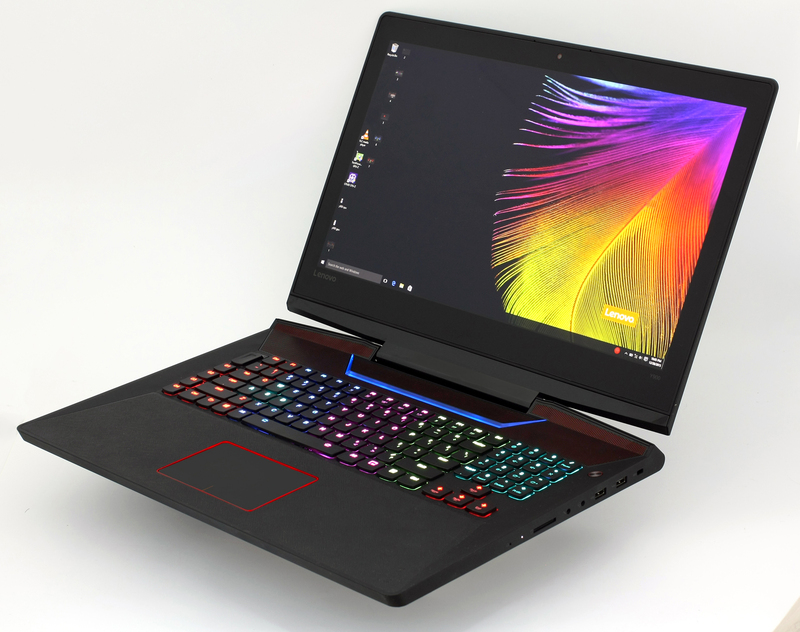 The notebook will start shipping in June so make sure to check out Amazon.com until it pops out or check the pricing of the current Lenovo gaming flagship – Lenovo Y700. 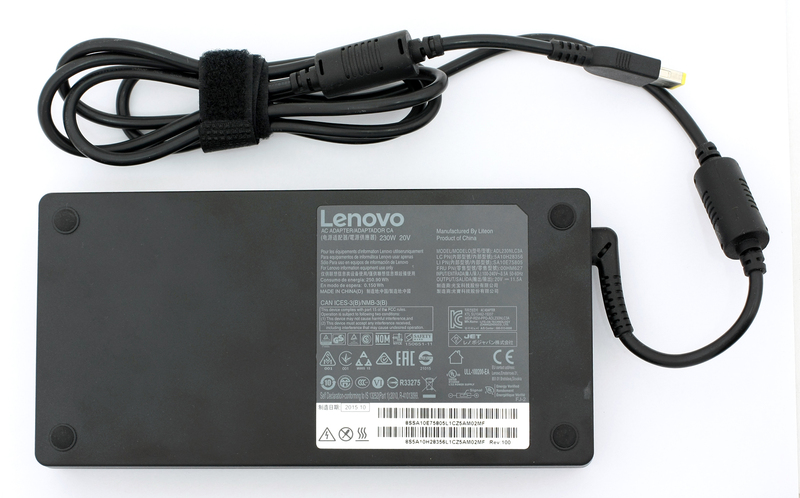 We can’t be certain what Lenovo will be shipping with the notebook because the testing unit arrived only with an AC adapter and a charging cable. 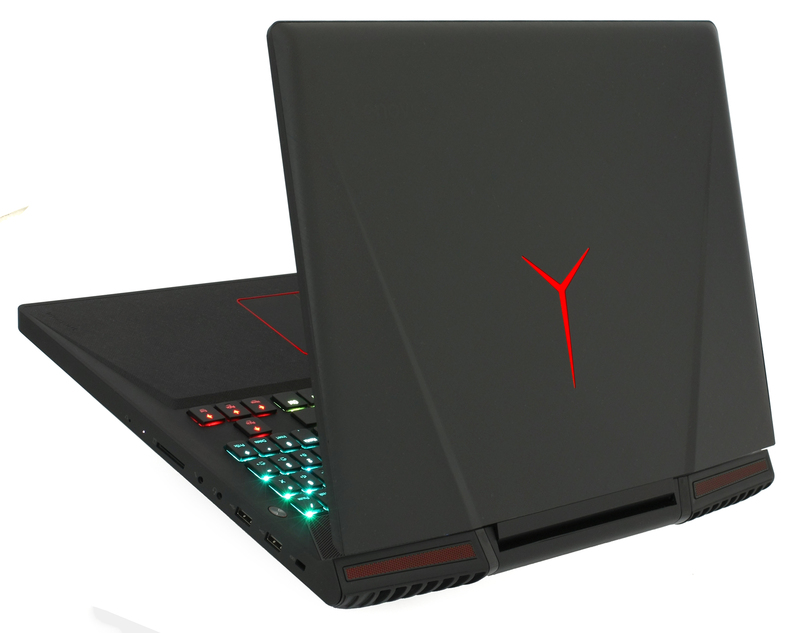 The similarities between the Y700 and Y900 are obvious but Lenovo has also upped the game with the latter. 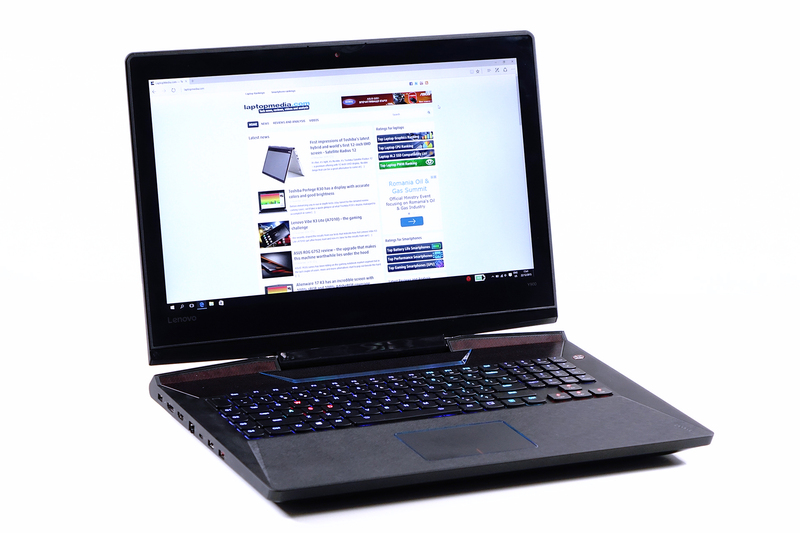 The 17-inch gaming beast sports brushed, black aluminum build with some changes around the chassis that distinguish it from its little sibling. Starting with the lid, which features brushed aluminum, as we mentioned above, but, this time adopts the signature Y series gaming logo, which is LED illuminated. Even under great pressure, the lid doesn’t show any sign of bending – it’s solid as a rock but a bit heavy and thick, although this isn’t a touch-enabled version. You can easily open the laptop with one hand but the single-hinge design allows the screen to wobble a little and twist at the sides. Also, the display inherits the big screen bezels from the Y700 but this time, they are huge. 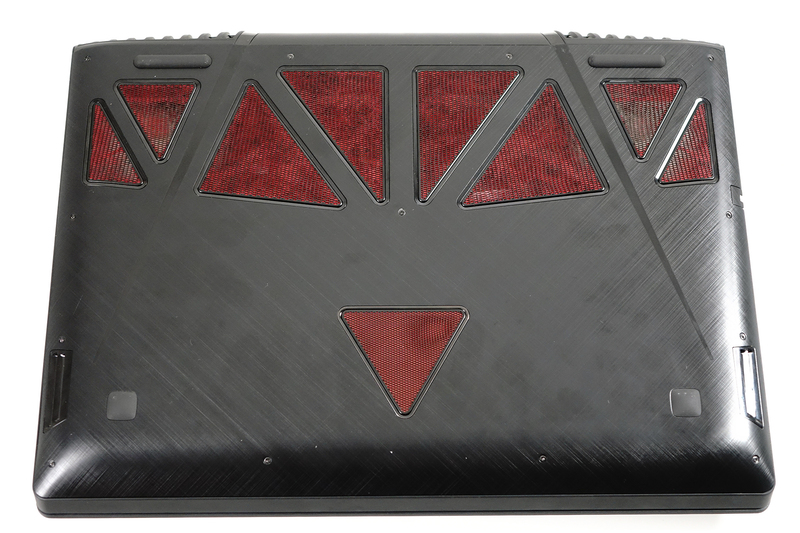 Anyway, the bottom piece of the notebook is also made of aluminum with several red vent openings for extra airflow. Unfortunately, the design is similar to the old Lenovo Y50 series and there’s that cloth material protecting the internals from the outside dust but also obstructs the normal airflow at the same time. The dust builds up on the cloth over time. 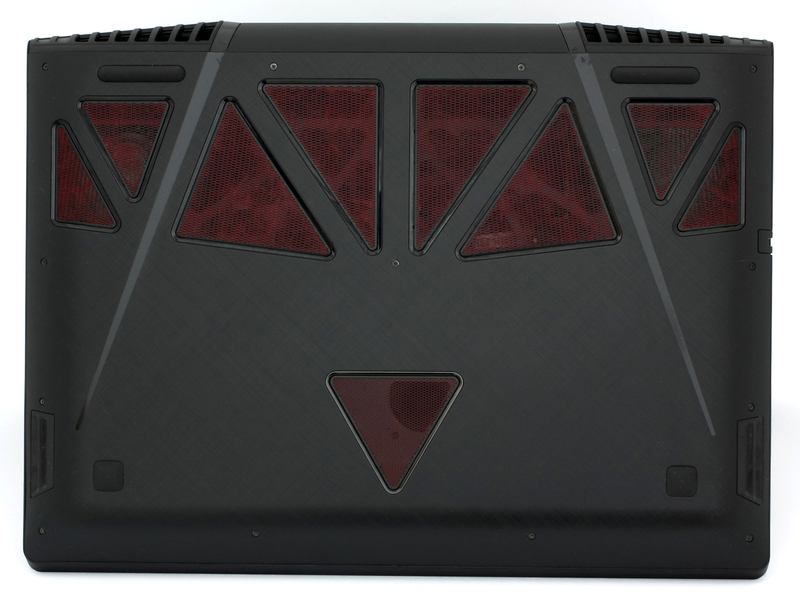 You will also easily notice the subwoofer grill in the middle and the two plastic openings on the sides that serve as antenna openings for the Wi-Fi signal. Just like every other high-end gaming notebook on the market, this one also has bulky sides that measure at 35-45 mm but unlike the Predator and the G752, the port placement here is much better. The peripherals are evenly distributed between right and left. The latter has the DC charging port, DisplayPort, HDMI, LAN, USB 3.1 Type-C and two USB 3.0 ports. As for the right side, it holds the other two USB 3.0 ports. 3.5 mm jacks for external headset and microphone, and the SD card reader as well. We would also like to mention that the sides feature soft-touch matte plastic meeting the metal plate at the bottom without making any unwanted gaps. This suggests of good build quality and continues the design concept that we saw in the Y50 and Y700. The back incorporates the main exhaust vent openings and ditching the decorative grills we saw in the Y50 and Y700. Opening the notebook revealed something we haven’t seen before. Aside from the awesome customizable LED-illuminated keyboard, which we will cover thoroughly in our “Software” section, the notebook offers unique key design and interior surface. Unlike most notebooks, the better part of the keyboard tray and wrist rest area is covered in rugged, rubberized finish for better comfort and stability. But the best part is that the palm rest area doesn’t attract fingerprints, smudges and doesn’t look like it’s prone to wear over time, but the same cannot be said about the surrounding surface around the keyboard. It still adopts that matte soft-touch plastic, which is fragile and gets dirty easily, but it looks and feels good. Nevertheless, the touchpad is still a big miss, just like the Y700 and it’s no surprise. It seems like Lenovo is using the same touchpad and compared to its competitors – it’s a bit stiff, sometimes inaccurate and wobbles, but it’s still flashy and all with the surrounding LED. The area near the screen doesn’t go far from its little sibling either – we see the red grills for the stereo front-facing loudspeakers and another LED light complementing the overall design. Anyway, we would like to shed some light onto the keyboard design. We have some strong arguments why this keyboard might be one of the best, if not the best, we’ve used on a gaming machine. Firstly, the keys offer ergonomic curved design and really long key travel. 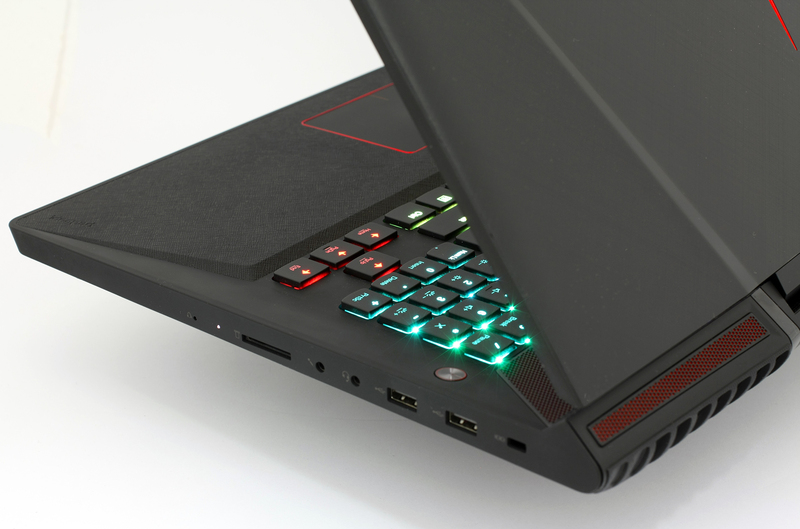 Moreover, the keyboard is mechanical and gives an edge over other gaming laptops on the market. 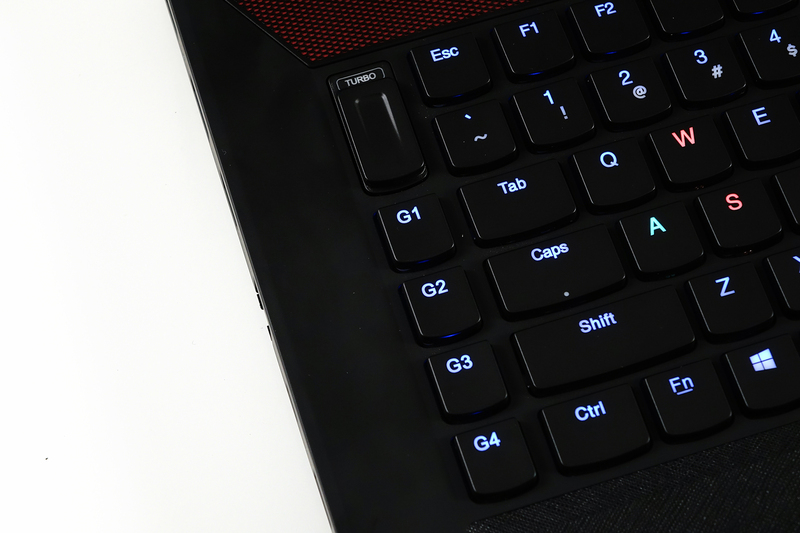 One thing is for sure, though – the keyboard feels amazing and will make every gamer drool. It’s what every gamer would like except this small detail – the keys feel a bit loose and if you hit them on the edge you might miss a letter while typing fast. 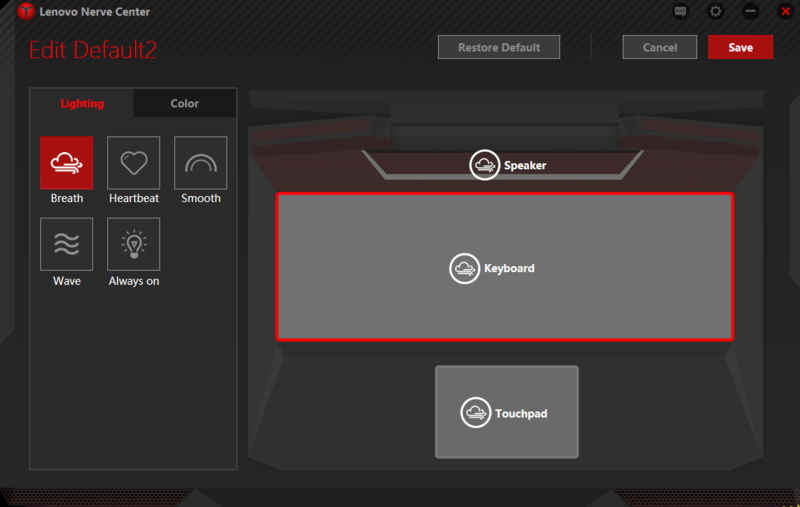 We welcome the addition of media player buttons (they were absent in the Y50 and Y700 as well as on the ASUS ROG G752). There are also several key shortcuts like launching the so-called Lenovo Nerve Center and disabling the Windows key button (the latter is quite useful for gamers). Secondly, the arrow keys are replacing a part of the Numpad but keeping the numbers at the same time. Your right hand will rest naturally on the right side and the arrow keys feel just right. They are not too far apart and don’t just hang around the wrist rest area like the G752 and Predator 17. 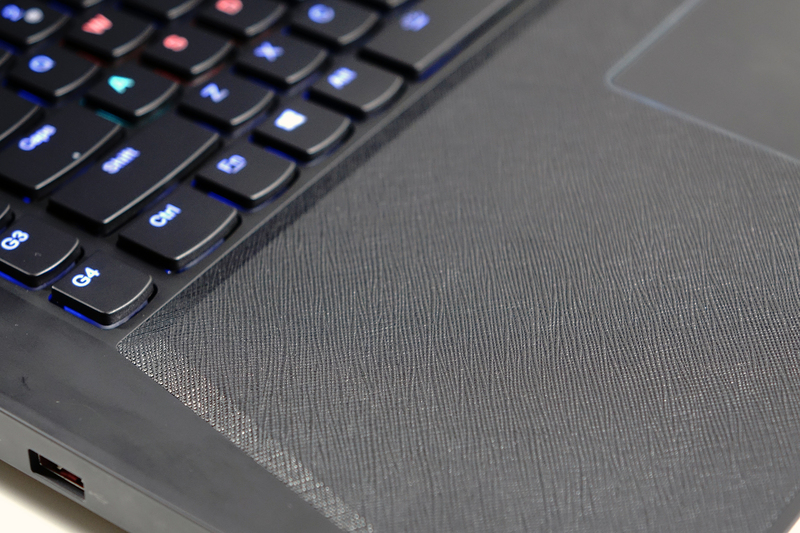 Just like every other high-end gaming notebook, this one also boasts programmable macro keys. Unfortunately, they are only 4 while other competitors boast at least 5. Two buttons more keys could have been crammed there if only the “Turbo” switch, which we will talk about later, was placed somewhere else. 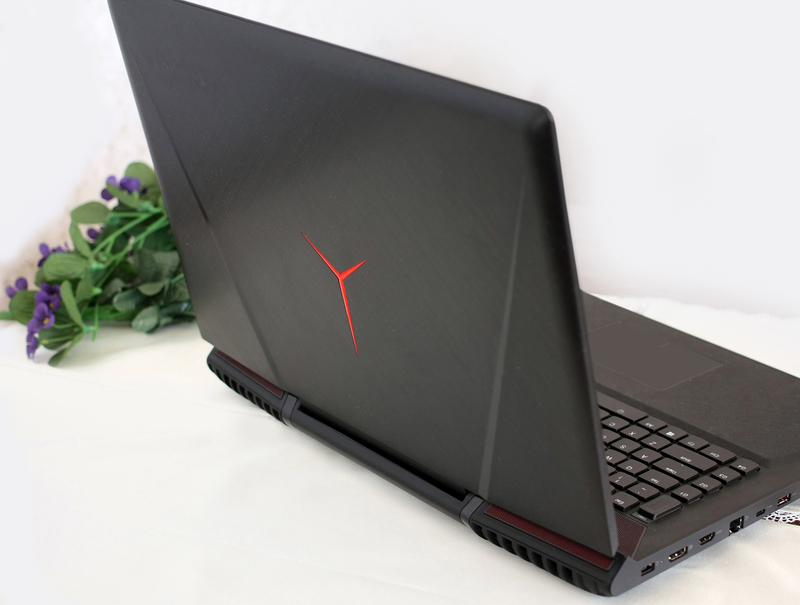 At the end of the day, you are getting a solid, oversized and heavy gaming notebook with impeccable, well-thought through design and build quality. The presence of aluminum on whole outer chassis and the rubberized finish on the palm rest area just stole the show. Also, we cannot miss mentioning the awesome mechanical-like keyboard with great ergonomics and customizable LED backlight. 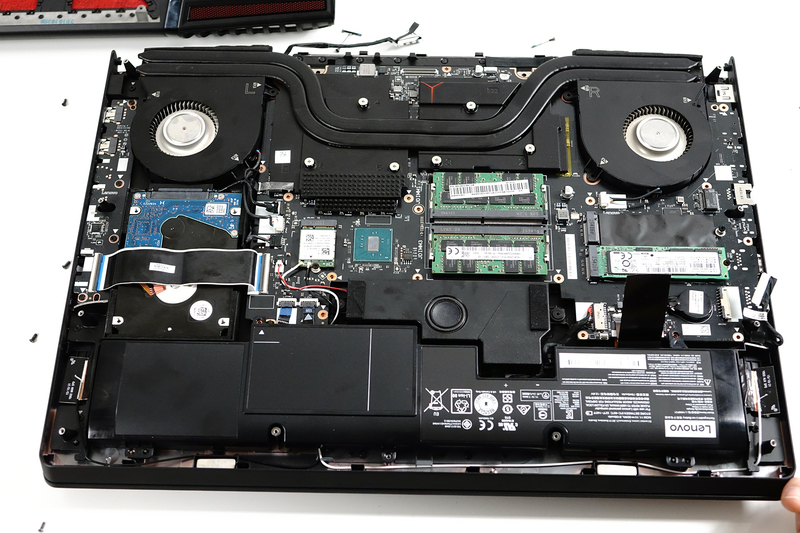 The notebook is quite easy to disassemble – just like the Y700, you need to remove the screws at the bottom and gently lift the aluminum plate. You will find the 2.5-inch HDD on the left side and the two 2280 M.2 PCIe NVMe SSD slots on the right side. One of them is occupied in our case. The center of the motherboard holds two RAM slots but if you wish to access the rest of the slots, you will need to remove the entire mainboard. Anyway, the laptop can hold up to 64GB of DDR4-2133 memory. You can watch the short time-lapse video below to see how the full disassembly is done or you can read the entire article here. The Lenovo Y900 features a 17.3-inch IPS display with Full HD (1920×1080) resolution, 16:9 aspect ratio, 0.199 x 0.199 mm pixel pitch and 127 ppi (pixels per inch). The manufacturer is LG Display with model number LP173WF4-SPF1 – we’ve tested similar displays with similar properties over the years. It can be considered as Retina if viewed from a distance equal or greater than 69 cm. The panel provides comfortable viewing angles under 45-degree incline. We were able to detect a maximum brightness of 331 cd/m2 with only 5% deviation. Also, the native color temperature is nearly perfect – 6600K while the optimal is 6500K (D65). There’s a deviation in the upper-right corner of the display. The yellow triangle below represents the sRGB coverage that the Y900’s display has. It’s not perfect, but it’s enough to bring vivid colors and good picture quality while gaming, browsing or for multimedia content – 93% sRGB. After calibration, the gamma curve aligns with the optimal 2.2. We set the display at 140 cd/m2 and 6500K color temperature. We sued X-Rite i1Display Pro for configuring the display. We tested the display using 24 commonly used sample colors like skin tones, grass, blue sky, orange etc. The average DeltaE 2000 is 0.64 after calibration. 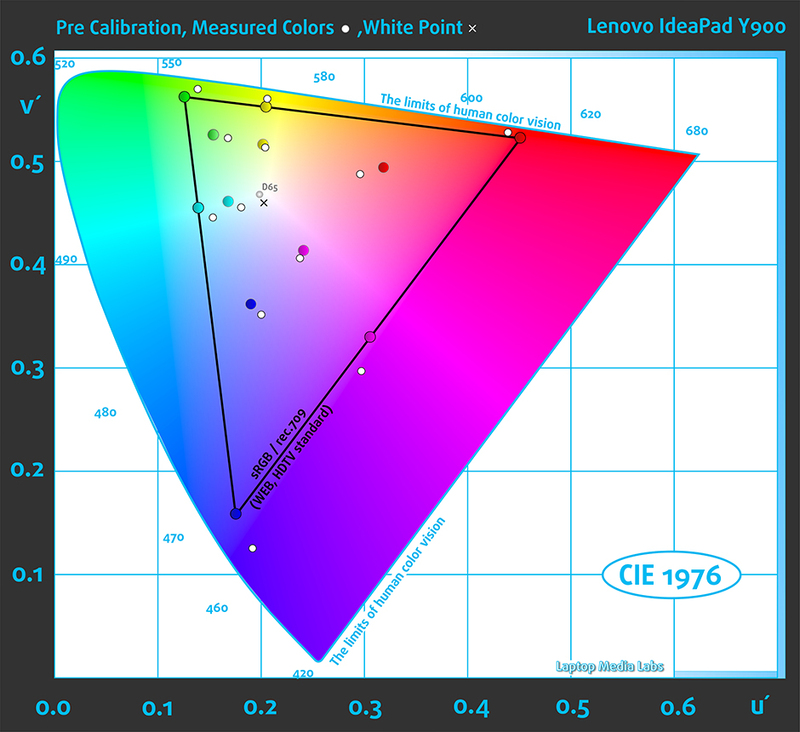 The contrast ratio is 1020:1 before and 990:1 after calibration – both results are excellent. 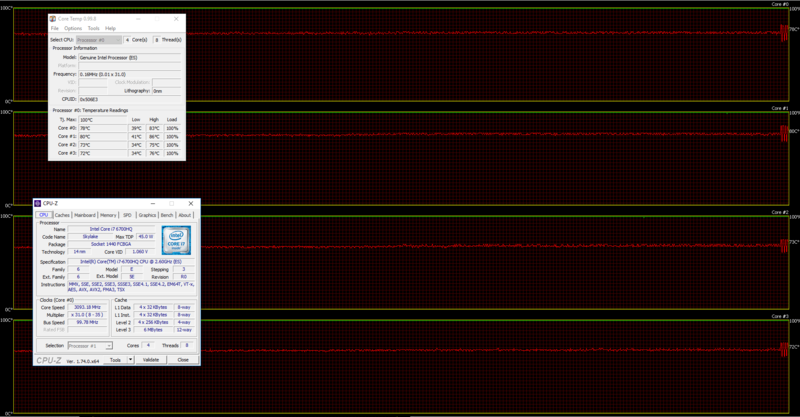 Our oscilloscope did not detect any screen flickering across all brightness levels. It can be considered as user-friendly and will not put strain on your eyes. The notebook offers excellent image quality with high contrast ratio, high maximum brightness, fairly accurate color reproduction and wide sRGB coverage. It’s suitable for web browsing, gaming and multimedia content. It’s also good for long hours of gaming sessions or work as it doesn’t use PWM at any brightness level. It’s flicker-free and that’s a huge plus. Unfortunately, the display doesn’t support G-Sync technology and there’s no word from Lenovo that there will be G-Sync-enabled variants. So if you are looking for a similar display quality and G-Sync integrated chip, the ASUS ROG G752 is a good place to start. However, you can use the provided DisplayPort to pair the machine with an external G-Sync-enabled monitor. The notebook features Dolby Audio tuned front-facing speakers with subwoofer at the bottom providing superb sound quality. It’s also tunable thanks to the Dolby Audio software that came pre-installed with the notebook. However, we would like to keep the results from the test to ourselves since one of the loudspeakers was constantly going on and off due to the early engineering sample we have. The testing unit came with pre-installed Windows 10 (64-bit) and some software features that come along with the notebook like the nifty Lenovo Nerve Center. 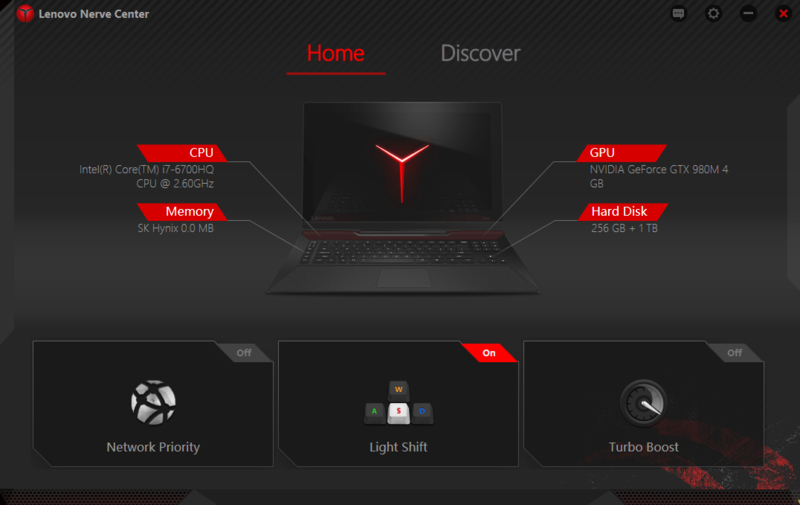 If you need to perform a clean install of the windows, we suggest you download the latest drivers from Lenovo’s official website. Back to the so-called Lenovo Nerve Center. 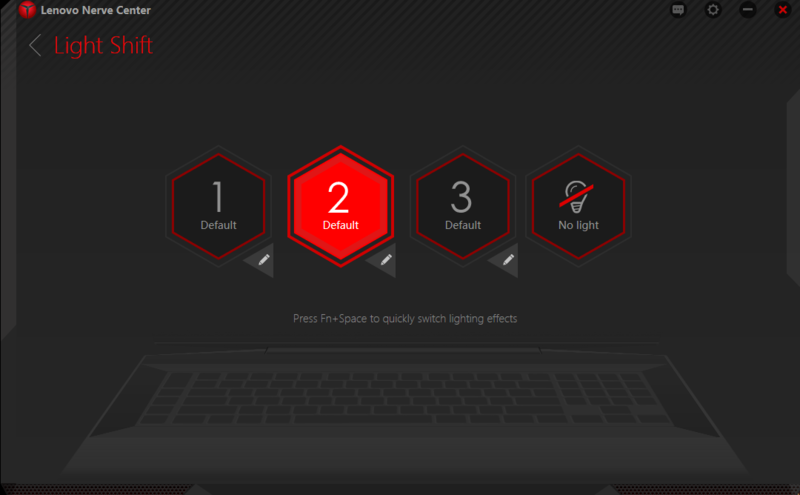 It’s basically an app that helps you customize and take control of the PC. 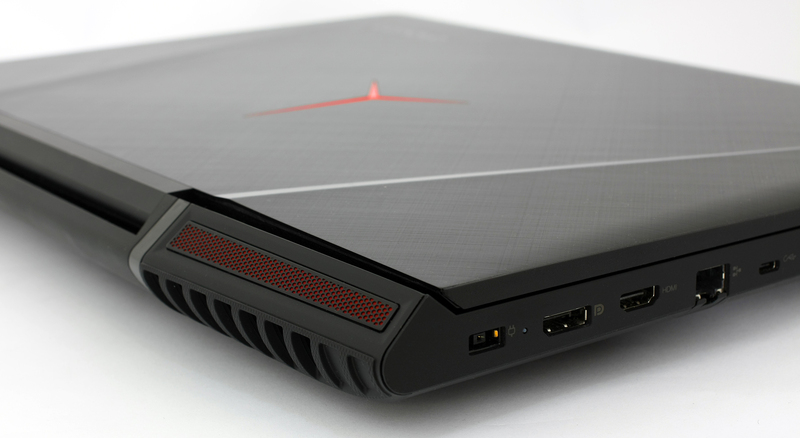 Acer has the Predator Sense, ASUS’ G752 features ROG Gaming Center and Dell Alienware has the Command Center. 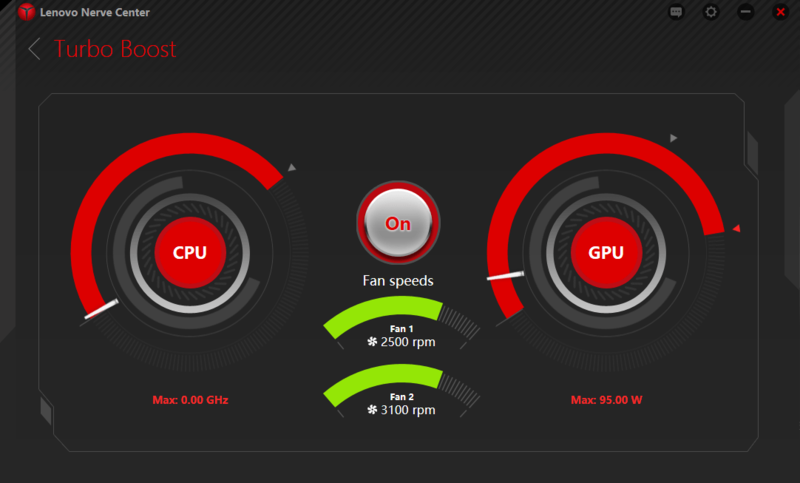 However, the cool thing about Lenovo’s variant is the Turbo mode that switches the fans, the CPU and the GPU to full throttle. The latter can be done with the turbo switch above the macro keys. 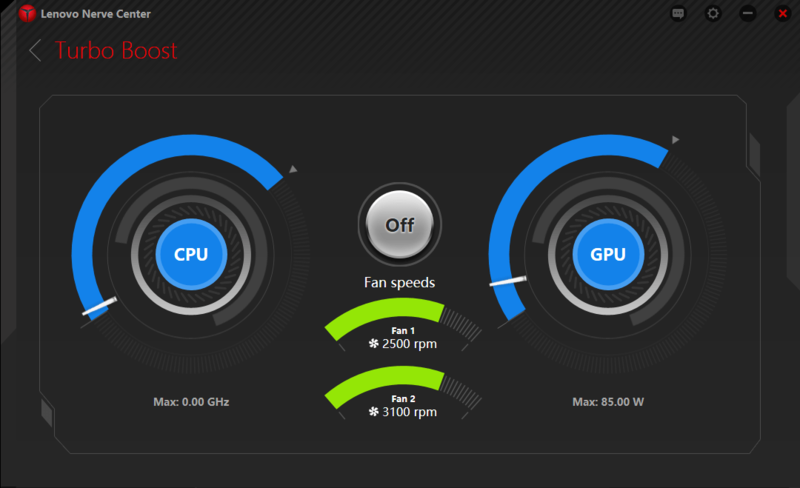 You can also adjust the speed of the fans when the Turbo mode is turned off. 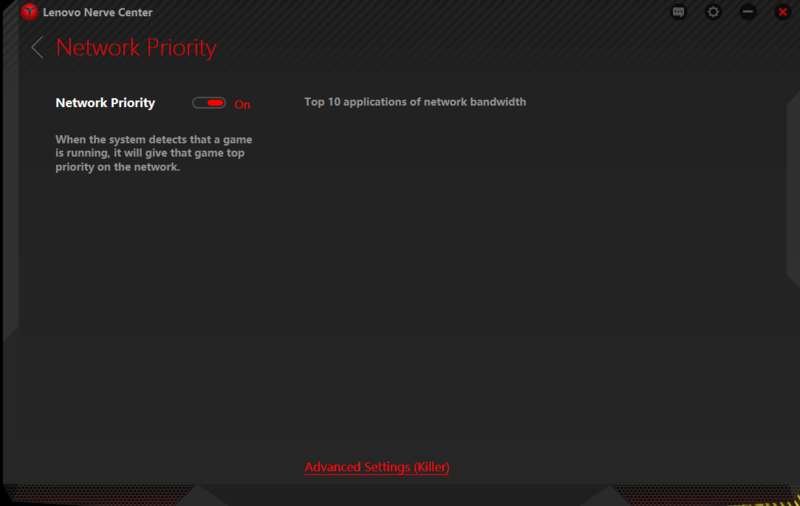 There’s also an option allowing you to prioritize the Internet bandwidth that used by various apps and games. And, of course, last but not least- the sub-menu Light Shift allowing you to take control of all the LED lights. The software offers three customizable modes each giving you the option of four light effects like breathing, wave, heartbeat etc. 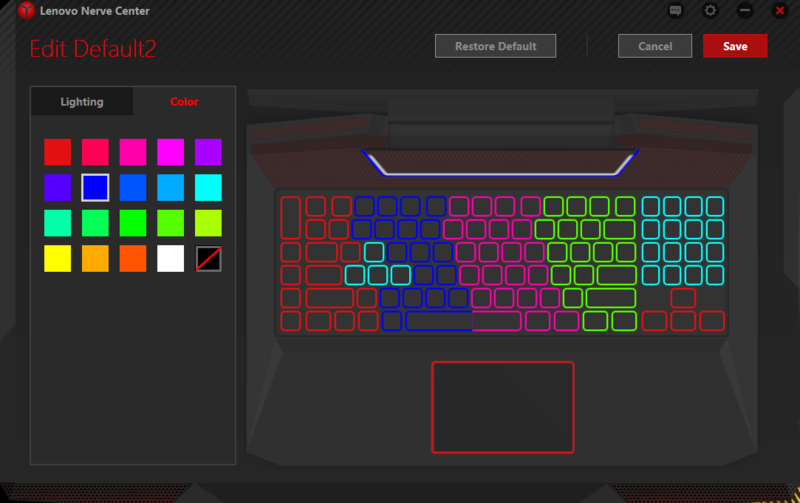 Aside from that, you can set a custom color on each zone, speaking of which, they are seven separate zones on the keyboard including the WASD and arrow keys. The LED around the touchpad is also customizable as well as the area around the loudspeakers. The notebook boasts a huge 90Wh battery that will keep the show running for quite some time, but unfortunately, we weren’t able to test the durability of the system. The testing unit we have has faulty fan system as both fans are constantly spinning at high RPM and this drains the battery like crazy. We are sure the battery will provide long runtimes but we can’t be sure for now. On the other hand, we didn’t find the integrated Intel HD Graphics 530 that the Core i7-6700HQ incorporates. We stumbled upon the same issue with the ASUS ROG G752 and that resulted in lower battery runtimes. It’s quite interesting why manufacturers choose not to include the switchable graphics feature. We will know for sure when the fully operational units arrive in mid-2016. As we mentioned in the battery section above, we had some troubles with the engineering sample we are currently reviewing. The fans were spinning constantly at high RPM for no apparent reason and during high load, the RPM didn’t go high enough. It was kind of fixed. Anyway, we did the usual two-staged temperature test to get a general idea of how the system will handle higher temperatures. This includes more than two hours of 100% CPU and GPU load and while this doesn’t represent real-life situations, it gives a good assessment of the system in the long run. We started off with one hour of 100% CPU load and things were stable – the chip was running under 80 °C during that one hour and didn’t throttle a bit – 3.1GHz – which is the maximum operating frequency for four active cores. 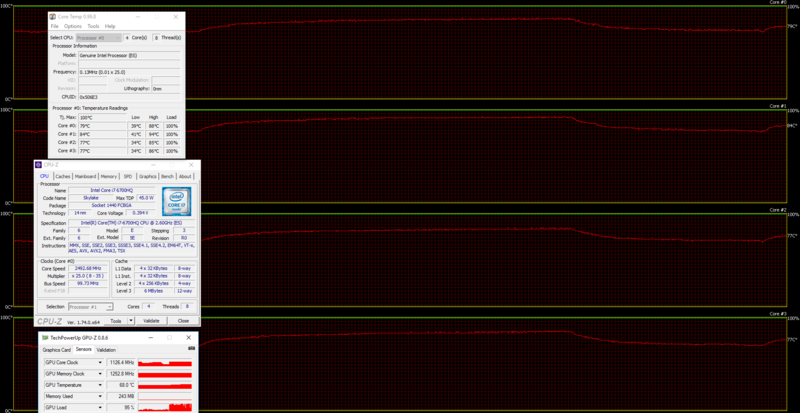 You can see the red line representing the temperatures on the graph below while the green line stands for the CPU load. Things got tricky when we turned on the GPU stress test. The CPU’s temperatures didn’t go too high – around 85 °C while the GPU was running below 70 °C during the whole test. We observed minor throttling of the CPU despite the fact that temperatures didn’t surpass 90 °C, so we can easily say that the reason for this throttling is the unstable engineering sample. We expect much better results when the final unit arrives. Temperatures on the surface were a bit higher than we are used to when dealing with such laptop but again – we expect better results in the final unit. The maximum temperature was 52.2 °C near the center of the keyboard. Also, the fans were spinning quite loudly compared to the Acer Predator 17, ASUS ROG G752 and Dell Alienware 17 R3. Spec-wise, the notebook will come with up to Core i7-6820HK probably and the usual GeForce GTX 980M GPU with either 4 or 8GB of GDDR5 VRAM. It also supports two 2280 M.2 PCIe NVMe SSDs that can be configured in RAID 0 array. Or in other words – it’s on par with the competition so the only two things left here are the cooling system and display that will be of a key difference. The cooling system is really hard to assess given the faulty fans on the engineering sample, but we have a strong reason to believe that the final unit will perform much better, although, we aren’t sure if the noise will be reduced. Finally, the display offers awesome image quality without the use of PWM for screen dimming and those are two important aspects to consider. However, the G752, for example, has similar image quality but offers the neat G-Sync chip and 75 Hz refresh rate. Both will prove useful for smooth gameplay. We are pretty certain that the Y900 can be paired with an external G-Sync-enabled monitor via DisplayPort. And there’s no word that the company will offer G-Sync variants for now. There are some things we weren’t able to assess properly like the sound quality and battery runtimes due to the problems with the fans, but we will make sure to update the review as soon as we get our hands on a more stable unit or when it will start to ship in June. My thoughts exactly. 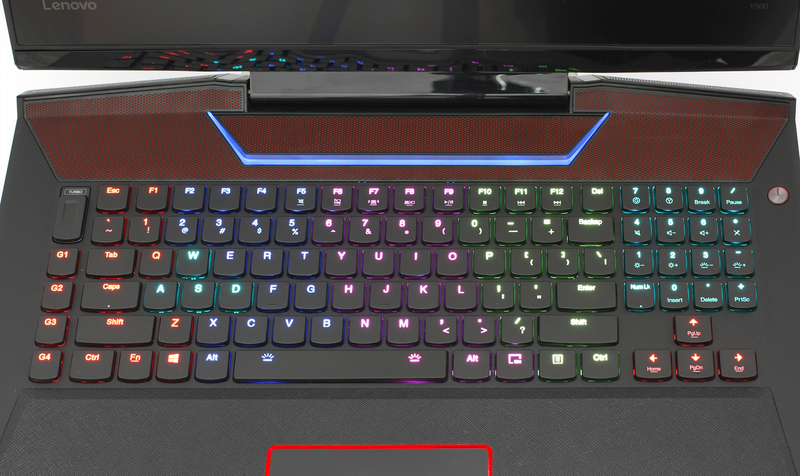 We hope some of the problems will be polished in the final unit, but interestingly enough, the ASUS ROG G752 also came without switchable graphics. And about the release in June, they’ll probably release it with the newer graphics or the competition will have a huge head start. Wonderful! now i’m stuck between the G752 with G-Sync or the Lenovo with mechanical keyboard.